My friends Jenny and Ryan wanted a birthday cake for their joint birthday celebration. The problem? They don’t really like icing, specifically buttercream. So what I decided to do was make a white chocolate ganache frosting that really spread like buttercream. 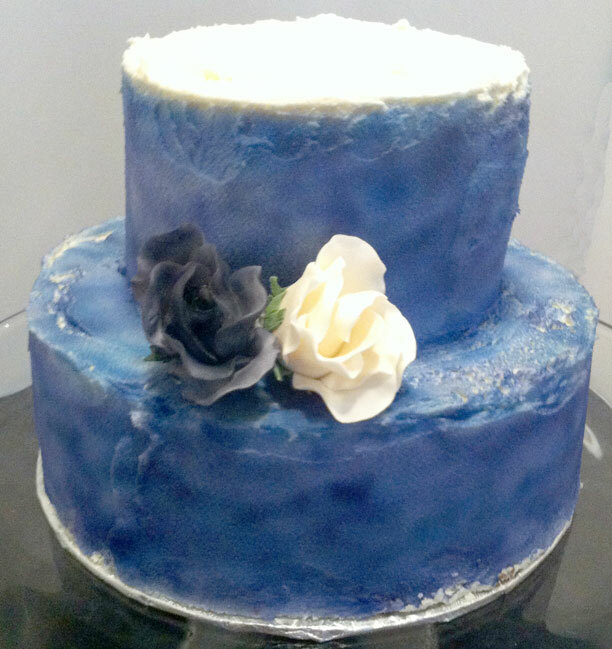 They also love purple so I went ahead and air brushed the cake blue and purple to get this pretty hand painted look. Because it’s damn near impossible to get the icing completely smooth, I kept it lose to give it a more rough look. I actually like how that turned out. 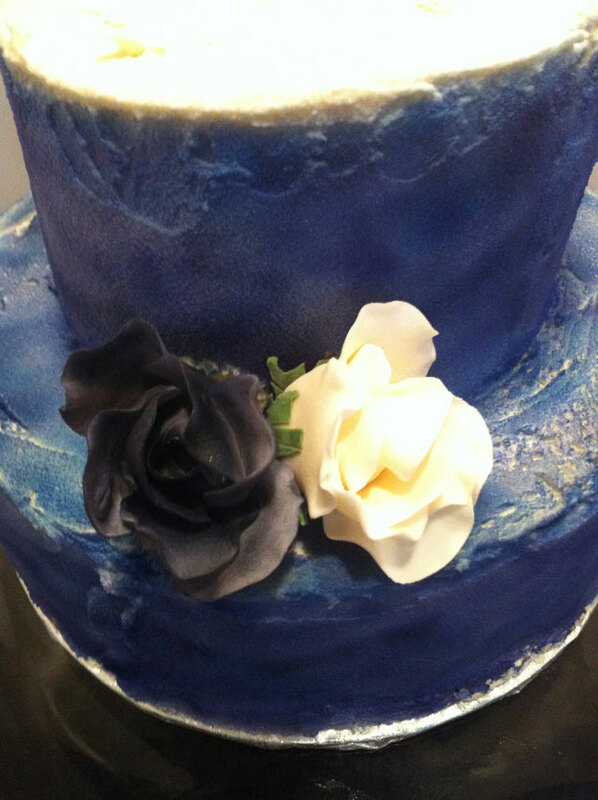 I finished it off with 2 gumpaste roses, one that I air brushed purple. The cake inside was vanilla butter cake with a raspberry jam. I didn’t try it but they told me it was delicious!